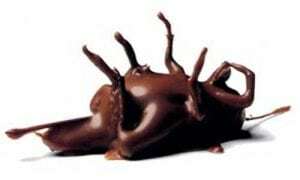 Singing Rooster News – Haitian coffee, chocolate, art What will you cover in chocolate today? What will you cover in chocolate today? In honor of National Cover Anything with Chocolate Day, the staff at Singing Rooster are covering everything in #haitianchocolate. Later on in the break room, she admitted that there are probably 1,000 things that are better, but she wouldn’t elaborate. Coffee Ambassador Corinne’s favorite chocolate covered confection? 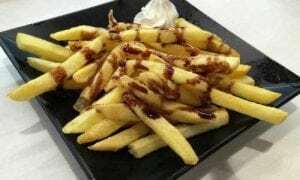 Not to be outdone, Christophe (the Rooster’s jack of all trade) drizzled a light coating of melted Haitian plain chocolate on a plate of French fries. 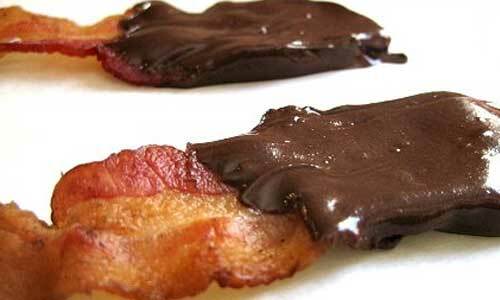 The office anarchist Sarah covered non-free range, genetically modified and gluten infused bacon in chocolate. Even Jason (the occasional vegetarian) thought it was tasty. 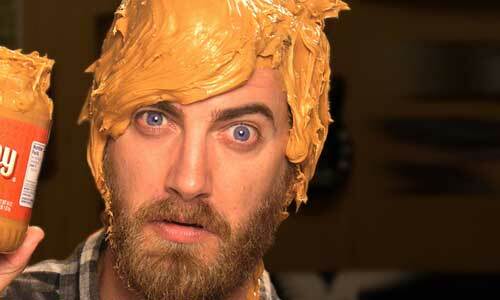 Bjarne, the intern from Norway, thought everyone was being wasteful and sarcastically covered his head in peanut butter. Joel (head roaster) swiped a piece of lemon-ginger chocolate across his cowlick and popped it in his mouth. This is when we learned Norwegians have tempers. When Bjarne settled down, we informed him that “cover things in peanut butter day” wasn’t until April. What’s your favorite thing to cover in (Haitian) chocolate? Haiti has some of the rarest cacao on the planet. 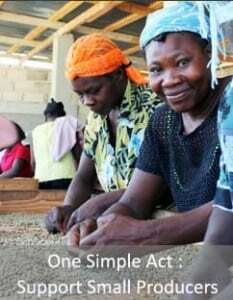 Learn more about how Singing Rooster is helping small cacao farmers in Haiti to build better businesses.